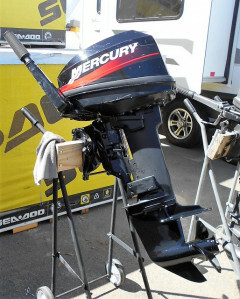 Mercury s/hand 15hp Short Shaft Outboard. American gear change on handle.Recently Serviced by us, all ready to go! 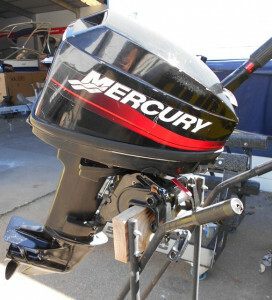 For more s/hand, New Mercury Motors or if you are in the market for a new or used boat, caravan or jetski give our friendly staff a call on (08) 8555 2520 or visit our website www.pelicanmarine.com.au. We can also help you with repowers, servicing, spare parts and accessories!